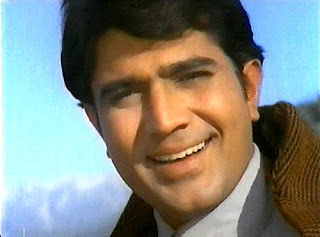 As you know One of the oldest and the most popular Bollywood actor, Rajesh Khanna passed away yesterday (18/7/2012). So today I thought to bring you the chords of an old hit.The original song "Mere Sapnon Ki Rani" is from classic bollywood movie Aradhana starring Rajesh Khanna & Sharmila Tagore.Music is directed by S.D Burman.Original Song is played in B minor. 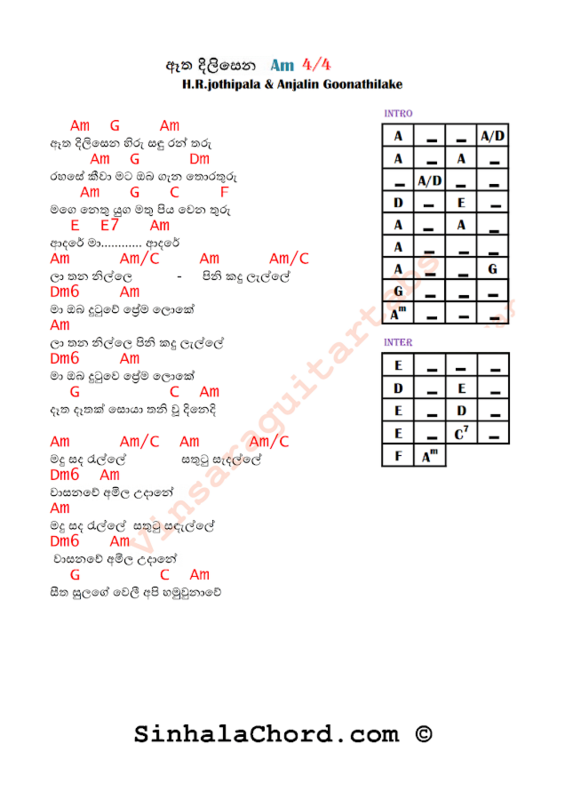 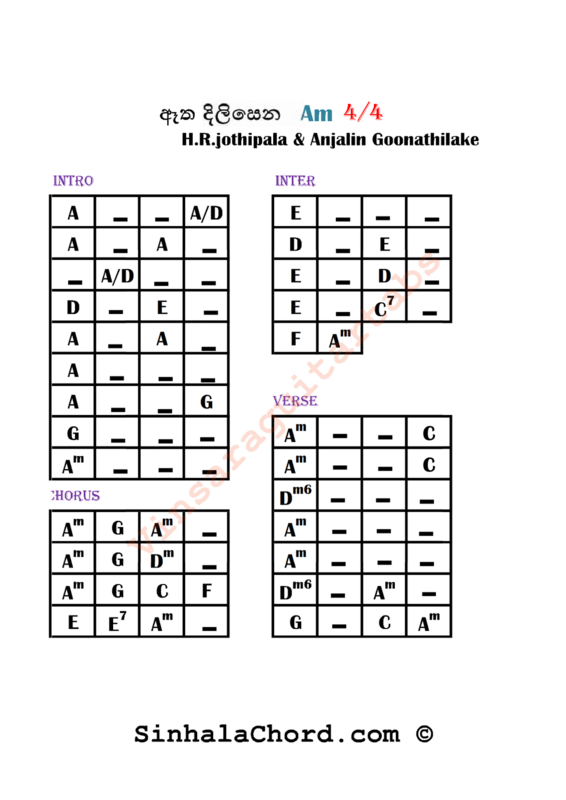 H.R.Jothipala & Anjaleen Sung this song in A minor with Sinhala Lyrics. Watch Original Song "Mere Sapnon ki Rani"